(Fremont County, Wyo.) 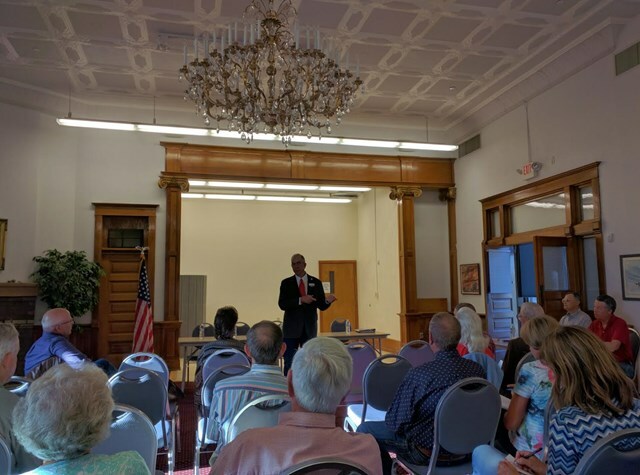 - 24 people attended the Fremont County Republican Party forum last night at the Fremont County Library in Lander. If you missed it there's another forum tonight (Thursday, August 4) from 6:00 PM to 9:00 PM at the Senior Center in Shoshoni. This will also include an Ice Cream Social. 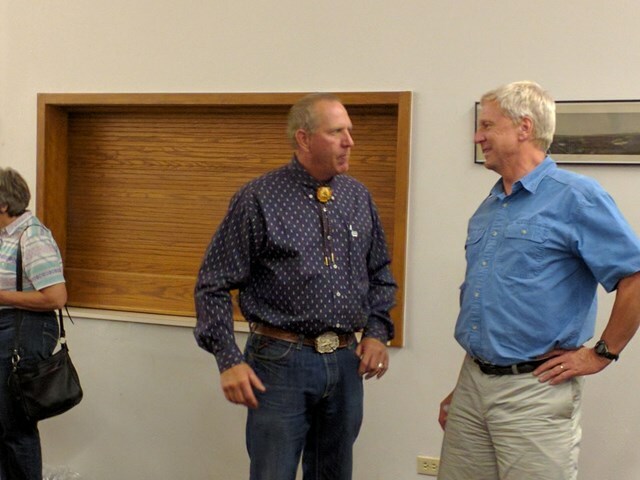 Republican candidates present at last night's event included Senator Jim Allen, candidates for Fremont County Commissioner District 5 which includes Luke Fidler, Mark Keiser, and Jennifer McCarty, as well as the candidates for Fremont County Commissioner District 1 which includes Joe Malek and Clarence Thomas. 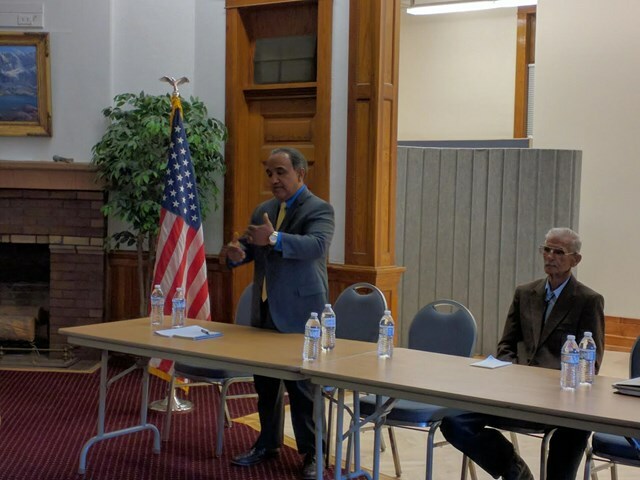 The audience asked the County Commissioner District #1 candidates questions surrounding issues from balancing the budget to their philosophy on taxes. One audience member asked the candidates to name their top 4 priorities as County Commissioner. Joe Malek said his top four priorities would include the Jail, Museums, Libraries and Title 25. Clarence Thomas noted his top four priorities would include Law Enforcement, Solid Waste, the Budget and Employment. 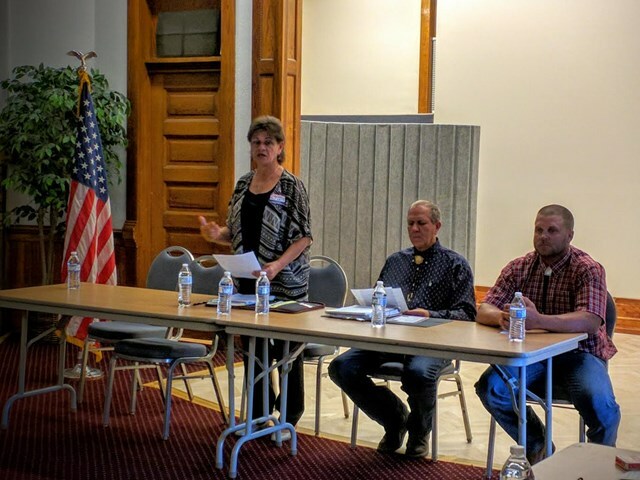 The three County Commissioner District 5 candidates which include Luke Fidler, Mark Keiser and Jennifer McCarty, were up next and also answered several questions from the audience which spanned from taxes to law enforcement. The candidates took the opportunity to also name their top four priorities if elected as County Commissioner. Jennifer McCartey said her top four priorities would be Emergency Services, Infrastructure, Solid Waste and Private and Public Land Use. Luke Filder noted his top four priorities would be the Budget, Emergency Services, Medical Services, and Protecting our Heritage and Way of Life. Mark Keiser said his top four priorities would be the Budget, Solid Waste, Private Property, Emergency Services. The evening ended around 8:30 p.m. with many folks socializing with the candidates. Again, if you missed it there's another forum tonight (Thursday, August 4) from 6:00 PM to 9:00 PM at the Senior Center in Shoshoni. This will also include an Ice Cream Social.